Getting paid by the hour sounds so logical when you are a fitness professional. You show up to work, do your training thing, get paid for the time and go home. If you work for someone, this method of compensation makes sense. If you work for yourself, however, getting paid by the hour is the least effective thing you can do in business to generate revenue for yourself and for your team. · You can only work so many hours per week; therefore, you can only earn so much before you top out your income over time. 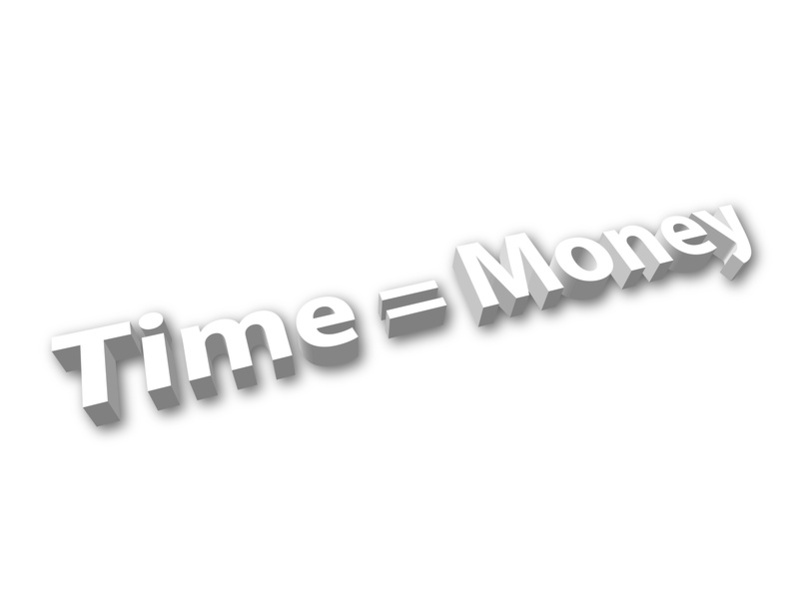 · Selling yourself by the hour always brings the discussion down to money instead of how you can help the client. Why is help in our world just limited to one hour at a time? Why is fitness sold per hour and not per solution to a problem? For example, a client asks for weight loss over time and we turn around and sell him an hour of our time. He asked for a solution to a long-term problem and we came back to him with an hourly fee. Since this is a lot of money to the trainer, his ability to ask for this money is always weak. It takes a mature money person to stand in someone’s face and ask for the most money you have ever earned and most trainers, especially the younger ones in the field, stumble here. Understand that trainers usually get into the field because they are internally driven people who love helping others. It is a strange comparison, but trainers are often the social workers of the fitness industry. Social workers are often good people who dedicate their lives, often for extremely low pay, to helping others in need. Many trainers love helping and training so much that they too will help others for free if necessary. This intrinsic drive is admirable in a trainer, but it doesn’t feed the kids or pay the rent. The client on the other hand, who often has either direct or indirect knowledge of what trainers in your area get paid, compares your rate to others in your field in that area. You should be the highest priced trainer in your area, but there are limits to how far you can push this concept. Money people that are our training clients understand better than you often do that the higher the rate someone charges, the higher perception of service and quality goes with it. This thought is a direct contradiction for trainers who often feel they have to continually make deals or charge the least in their market to work which is the hardest lesson to learn by any trainer in the business. Where we fail, however, and where there is a serious disconnect, is that what we ask for doesn’t usually match the circumstances of the sale. For example, your client wants to hire an attorney. The $50 per hour attorney usually matches the rate he charges. Bad suit, small office, no assistant, poor location and little experience are all the signs of a $50 an hour attorney. On the other hand, the $250 hour attorney completely matches the rate. He or she has the big office, assistants, is often part of a bigger firm, offices that are in the best part of town and all the trappings, experience and poise it takes to charge the highest rate in town. Our trainer, however, is trying to charge the highest rate he can or the market will bear, but is doing it in the same context that all the other cheap guys live in. Our hero wants the most money, but he is dressed the same, usually badly, works along side the low priced guys, doesn’t understand added value or building value for his client and simply tries to charge a little more, but does nothing else to support the context that he is worth more. Remember, it isn’t always what you know; it is how you deliver that knowledge that makes you money. In the world of attorneys, the range between the lowest and the highest hourly rate can exist because the differentiation is so apparent. In our world, the gap between high and low that the client will accept is often much smaller because there is often no perceived differences between the players. Your price is based upon you learning that perception of quality is the real separator in the client’s head and in most business transactions. Another problem with charging by the hour is that the client always immediately compares your rate to other professionals in his life and we often fare badly in that comparison. If you charge a $100 per hour, and the client’s chiropractor only charges $65 per visit, you are now being compared to a medical professional. In the client’s head, you are charging more than a medical professional on his team. We can survive this comparison, but our delivery system, which includes our support materials for the client, how we dress and professionalism, where we train the client, the support services we offer along with our training, such as nutrition, and all the other small details that make up our product along with the actual training, has to be so much more distinctive and offered at a much higher level than any other trainer we are competing against. The need for having a life works against you charging hourly for your services. Yes, you can work six days a week. Yes, you can work splits so you can be there in the morning and come back in the evening for those later clients. And yes, you can train clients for 40 hours or more per week. The question is how long can you do this, and most importantly, how long can you do this well? Your ability to maintain this level of training over a long period of time is almost impossible. We find that the average trainer lasts less than eight years before he or she burns and crashes. Trying to maintain this type of schedule is the prime reason trainers fade away young. There are several issues involved here. First of all, your ability to work past this hour limit will put a max on the money you can make. If you can only work 32 sessions per week, then your money ceiling is now 32 times your hourly rate minus your cost of servicing that client. Trainers who want to make more money simply keep trying to gain more clients and work more hours, but realistically, at some point you will have to take a nap, eat, see your kids, visit your soon to be ex-spouse or simply sit somewhere for a few hours with friends and decompress. Whether you admit it or not, there is always going to be a limit to the hours you can work, and therefore, the money you can make. The second issue is that the more hours you train clients, the more ineffective you become. There will be those of you who read this who adamantly deny this and swear, probably at me, that every session you ever offer is the best you can do and every client gets your best every time you’re on the floor. The passion is appreciated, but sit quietly and ask yourself if that is indeed true? Are you really giving your best every session, every week, every month, year after year or are you giving it about 80 percent of what little energy and passion you have left after five years of split shifts, 2000 meals out of plastic bowls, clients in foul moods, late nights with friends and the fact that you just haven’t had five consecutive days off since summer vacation in grade school? Training for a living, despite what your relatives and friends think, is extremely difficult with a full load of clients. You have to remember that every client is there to take a little of your energy home with them that day and no trainer, no matter how good, is capable of sustaining that level of commitment year after year without rest, decent food and a chance to stay fresh and excited. The answer to all of this is to move from hourly to solution-based client sales and there are several ways to get this done. First of all, you can switch from one-on-one training as your primary tool and start with small group training with up to four in a group. Your return per hour goes up, the clients get better results over time due to the group dynamic, and most importantly, you can work fewer hours each week and make more money. You gain the advantage of shifting the focus away from you and to the group making your job easier and more sustainable over time. The key to getting started with this is to switch from per session charges to charging per month with a 12-month commitment (at least three months if you are nervous to try this). For example, instead of charging $60 per session, or 10@ $500, which would be a typical charging system for a trainer in the one-on-one world, you could switch to $259 a month for 12 months for five visits per month or $359 a month for 12 months for unlimited access defined as 12 sessions per month with guided workouts for the off days included (You write the workouts but the clients do them own on their on the off days). You set times on a schedule and the client books the times best for him. The client does not have to bring a friend or fill the slots; he simply goes to your scheduler and books as needed. Remember that the average client will train about 9.6 times per month so you win by accumulating a large receivable base of client money owed to you and the client wins by being able to train when he wants in a group setting with motivated people along side. If you don’t want to do it this way, you can simply sell a solution to a problem. For example, a client starts with you and wants to lose some weight and get healthier. It doesn’t make sense for this client to now buy a five pack of sessions, and it is worse if you discount your services to sell him more sessions at a lower rate. Using the $50 rate from above based upon the session package, you could sell this client a three-month complete rebuilding program for only $549 per month for three months, which includes 8-12 sessions per month done in a group setting, full nutrition support and needed supplements, a workout journal and a tee shirt. This is just a model and what you charge and what you add is up to you, but the key point is you make more money selling the client a solution to his problem rather than trying to just sell hourly sessions and packages. The goal is to net 40% on everything you do, but the long-term move is to build a system where you get paid for what you know, not just the hours you are willing to work each week. You’re already doing the work, you just aren’t getting paid for it well enough. Tags: #thomasplummer #fitnessbusiness #personaltraining #makingmoney #NFBA | Permalink.